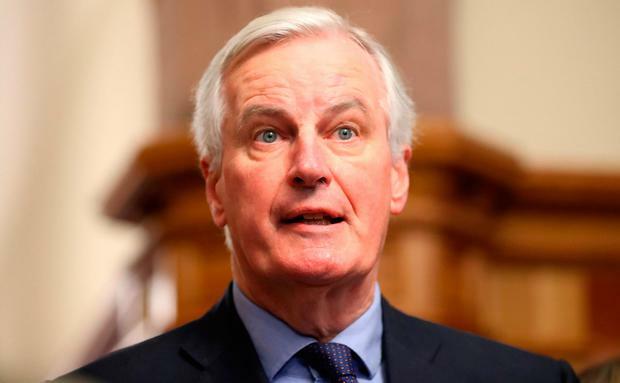 The European Union’s chief Brexit negotiator, Michel Barnier, said he is willing to consider new ways to solve the Irish Border issue. The 67-year-old Frenchman also said he was very concerned about the Irish Border issue but that the EU was open to discussing different – possibly dispersed and new technological – ways of checking goods crossing the Border. “We are ready to simplify these checks, to have them carried out at a number of different places and have checks, thanks to technical means, which could take different forms,” he said in a transcript released by the British parliament. Meanwhile, Fianna Fáil leader Micheál Martin has hit out at the lack of a “working relationship” between the Taoiseach and British prime minister. Addressing an audience at the British-Irish Association in Oxford last night, he said Anglo-Irish relations “are worse than at any time in at least the last 30 years”. “The Taoiseach and prime minister appear to have no substantive working relationship and go long periods without talking to each other,” he said. He added that he “genuinely cannot see how it is constructive” for Simon Coveney to be criticising old videos of Jacob Rees Mogg online. But equally he said the “scale of ignorance of Irish issues” among some in the UK government was “startling”.